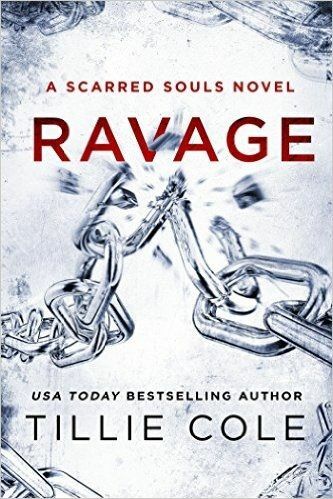 Get ready for the thrilling third installment of USA Today bestselling author Tillie Cole’s #ScarredSouls series! Taken as a teen, prisoner 194 was stripped of his name and freewill, meticulously honed to be a ruthless machine. Even as he tries to fight his captors’ hold on him, he knows that obedience is the only way to save his sister, who is the one person that keeps him from turning into a monster. They both have so much to lose – will they be able to save each other . . . and survive? I am lost for words. WOW! No doubt about it; in my book the word ‘versatility’ belongs to Tillie. She ceases to amaze me with her penmanship regardless of the genre she writes. I’m not a huge lover of dark reads; nevertheless, I’ve fallen for this series hook, line and sinker. 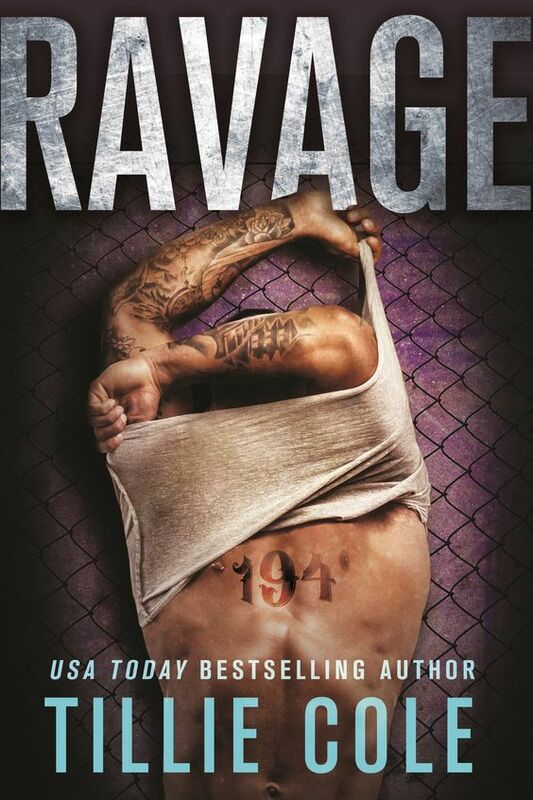 What caught my attention is the slightly different narrative technique used in Ravage in comparison to the two previous books, and you’ll only see what I mean by reading it. Scarred Souls’ third instalment goes above and beyond my dreams and is without a doubt, my favourite. Three protagonists’ stories flip from past to present and told from their points of view. The prologue left me gasping for air and had me enthralled to such an extent that I had no option but to read it from beginning to end in one day. Fortunately, I could thank small blessings for the school holidays and permit myself this luxury. Turning the pages at an incredibly fast rate, I also found myself backtracking to make sure I hadn’t missed the tiniest detail. But that being said, the pace of the storyline is perfectly construed. It’s not too fast or too slow, so it became clear from very early on my problem was an enormous case of nervous disquietude. This book which cannot be read as a standalone, brought out many different emotions in me. Scenes teetering on the verge of utter devastation provoked ugly tears, tender moments made me sob my heart out. The whole essence of the story is entwined with Raze and Reap; and getting to know how the other character are coping with changes I loved to pieces. You have to remember 818 and 221 and the significance these numbers have. Now 194 who has little or no control over his mind or what he’s commanded to do, is forced to comply and does for reasons to be revealed. Highly trained, he is a walking time-bomb ready to explode at any moment. However dreadfully cruel this man is, his raw feelings are exposed along the author’s lines and it’s shockingly comprehensible. She’s explicitly described his physique too, and it’s nothing less than heart-wrenching. Ooh my, while writing this review I can see him on his mission struggling with his internal conflicts. And if I had ever doubted as to why he couldn’t have played it out differently was simply a question of saving someone very dear to him. Number 152. With no fault of his own, I couldn’t help myself hate him. And then he stole my heart. Tillie has conjugated the verb to steal magnificently, and becomes predominantly important not only for me, but also for two people. One stole, another steals. Hmm, what you may ask and by whom? Waging an internal war, 194 never imagined it would be possible for someone to literally make him believe in a better life. It seemed so untouchable throughout that my heart broke time and time again. And not only for him. Gosh Tillie, you’re totally to blame my runny nose, puffy red eyes and blotchy skin. After a recent discovery, wishing to see with her own eyes that it is really true finds Zoya in the right place but at the wrong time. This has a massive recuperation for her. She disappears into thin air and her hell begins. Her astuteness, beauty, a strong will to live and a forgiving heart is all she’s got. And as much as I’d love to tell you more, I just can’t. What I will say is she astounded me with the fight she puts up under such unimaginable circumstances. The epilogue and the build up to it was so bittersweet, so beautiful but for goodness sake, you’ve left my emotions running riot Tillie and I am yearning for more! Please, pretty please, would you consider writing a follow-up because I’m sure I’m not the only one who would grab at the chance to read it? Bravo lady and thank you!